MacOS 10.13 High Sierra VS macOS 10.12 Sierra: Should You Upgrade? macOS 10.13 High Sierra is in its early stage and some advanced users may have jumped the gun and install the beta on their Macs. However, most others are still wondering if they should upgrade to High Sierra from Sierra. If you are in the hesitating group, this macOS 10.13 High Sierra vs macOS 10.12 Sierra comparison will help you. 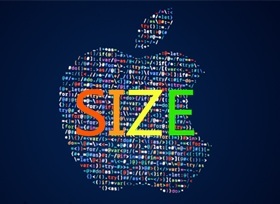 It focuses on the differences between two the operating systems in speed, performance, size, battery life and features. Latest: macOS Mojave vs macOS High Sierra: Should You Upgrade to macOS Mojave? Think you should upgrade to macOS 10.13 High Sierra from Sierra, or macOS 10.13 is not better/stable than Sierra and want a downgrade, first make a safe copy of Mac data, including videos, movies, photos, music, ringtone, documents, apps etc by drag and drop only. The first difference after you upgrade to macOS 10.13 from Sierra is the size of the download. The macOS Sierra is a 4.78GB download, much smaller than the previous El Capitan (6.31GB) and earlier. Through there's no word yet on the size, considering that Apple is keeping shrinking the file size of Mac OS, the macOS 10.13 will be smaller than Sierra in size, sticking around 3GB. 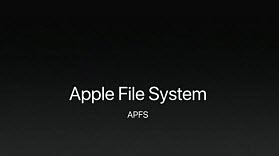 It uses a new Apple File System (APFS) (the same system after you update to iOS 11), which boosts the Mac performance to another level. Specifically, it brings an advanced 64-bit architecture that makes daily tasks more responsive and much faster, and makes Mac computers more secure with a slew of new security features like built-in encryption, crash-safe protections, and simplified data backup etc. 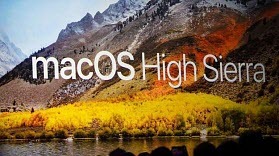 Compared with Sierra, macOS 10.13 High Sierra is better than 10.12 in performance, dramatically improving the operation, solving performance glitches in Sierra and eliminating the occasional lags with 10.12. The much faster speed marks another difference between macOS 10.13 and 10.12 Sierra. Besides the new APFS that makes 10.13 faster than Sierra, there are some other improvements. 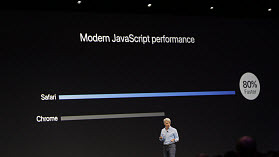 For example, compared with 10.12, High Sierra boosts Safari 80% faster than Chrome. Although macOS Sierra is already well optimized and is a very robust system, there is still room for improvement (if you're running slow on Mac, just speed up macOS Sierra). We can also see better video experience in macOS 10.13 High Sierra than 10.12 Sierra. Users who have upgraded to Sierra have better video experience on Mac than earlier versions. 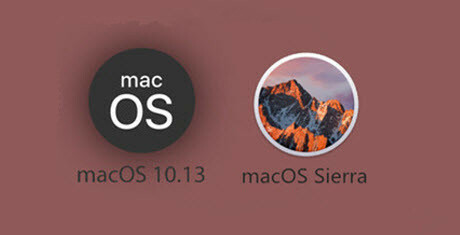 The trend continues when comparing macOS 10.13 and 10.12 Sierra. High Sierra brings HEVC (H.265) support to Mac,which has up to 40% better video compression than H.264. In other words, when you play 4K videos on High Sierra, you will experience better streaming and less storage occupation. If you upgrade Sierra to macOS 10.13 High Sierra, you will see a more powerful graphic processing ability. 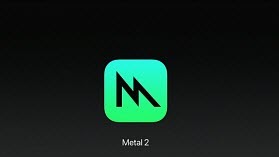 Metal 2, introduced in macOS 10.13 High Sierra, focuses on the graphics speed by making full use of the GPU with new optimizations and APIs. Compared with previous Meta version in macOS 10.12 Sierra, High Sierra 10.13 brings up to 10x better the drall call throughput with Metal 2. 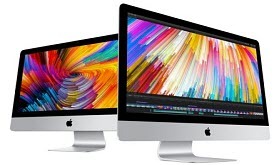 As many tasks on Mac involve GPU, there is a good reason to upgrade 10.12 to 10.13. Compared with 10.12 Sierra, macOS High Sierra bings something modern: VR support. After upgrade to Metal 2, you can not only gain better GPU usage, but also the support for VR. 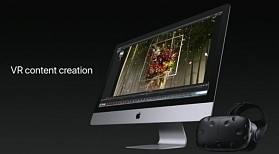 It is the first time that developers can create interactive and immersive virtual reality movies/videos on High Sierra powered iMac with Retina 5K display, or new iMac Pro. With HTC Vive, or Final Cut pro X, StreamVR etc, there is more to explore on 10.13. The virtual reality support will give macOS 10.13 a big advantage over 10.12 Sierra. Photos is an important feature on Mac and it gained big upgrade last year in macOS 10.12 Sierra. Now the function gets a big improvement in macOS 10.13 vs 10.12 Sierra, giving users more options with the app. High Sierra introduces support for the High Efficiency Image File Format (HEIF), a format of the future, which takes up to 50% less space of your Mac computer. The app introduces a slew of new features to allow users to better manage photos, identify people, sync photos from desktop to other devices etc. 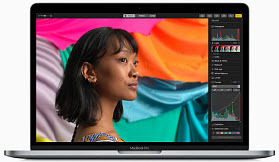 The most important feature is that it has a more advanced photo editor like Photoshop in 10.13 High Sierra than 10.12 Sierra to better edit your photos. In addition to the main differences between High Sierra and Sierra, there are many more minor yet important improvements in macOS 10.13. For example, the appl Mail is more effiecient, with a 35% smaller mail library size in macOS High Sierra than its previous generation. Spotlight search will also quickly identify the top hits. Siri sounds more natural. FaceTime call allows you to capture Live Photo... Those imporved features once again show that macOS 10.13 is better than 10.12 Sierra. Bottom line: surely there may be users experiencing such-and-such problem with macOS 10.13 High Sierra as it's not flawless at its early stage. But it will be stronger as Apple ironing out the emerging bugs. For most users, they will benefit from the free upgrade to macOS 10.13. If you don't want any unstable performance, you can stay with Sierra and wait for a solid upgrade. Backup & rip Disney/Hollywood DVDs to MP4 etc on macOS 10.13/10.12 Sierra/Windows 10, remove all DVD protections. Convert HD/SD/4K videos between MP4, MOV, AVI, MKV, etc and free download videos from 300+ sites. No.1 fast speed. Transfer videos, music, photos, ringtone, iBooks etc between iDevices and Mac (macOS 10.13/Sierra), drag and drop. Seeking for a free DVD ripper for Mac? To free rip your DVD collections (including copy protected DVDs) on Mac to MP4, MOV, FLV, MPEG, H.264, iTunes, etc for your iPhone /7/6S Plus, iPod, iPad /Pro/Air 2 will be much easier with the 2017 best free DVD ripper for Mac (macOS 10.13). Rip DVD for free on your Mac with no error. MacX MediaTrans is an all-in-one macOS High Sierra/Sierra data backup software with top quality and fast speed. You can use it to make a safe copy of Mac data, including videos, movies, photos, music, ringtone, documents, apps etc by drag and drop only.